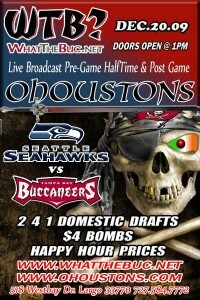 OK folks, come on out and join us at O’Houstons Irish Pub. The Doctor and I will be live in Largo (518 West Bay) starting at about 2:00. 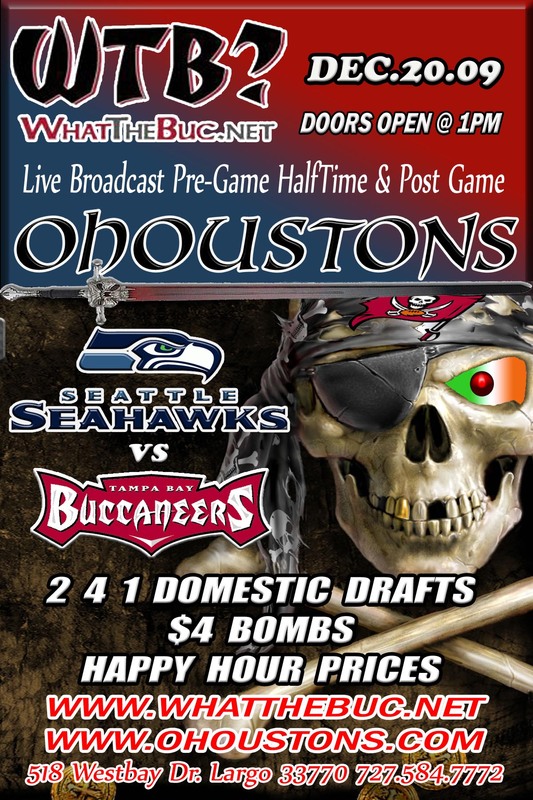 We will be live with a couple of the girls from the Tampa Breeze, Eddie and crew talking about the Seahawks and what we need to do in order to get the Bucs a second victory. Again, we will have pregame, halftime and postgame shows as well as live chat in our chatroom, so come out in person or virtually and enjoy the game with us!